The Israeli occupation authorities sentenced a Palestinian young man to a six-month administrative prison-term over incitement allegations. 30-year-old Khaled Faraj was sentenced administratively to six months in an Israeli jail on charges of incitement on Facebook. On Sunday, Israel’s Ofer court ruled for releasing Faraj on a bail of 4,000 shekels. The jury refuted the arguments put forth by the military prosecution and charged Faraj with making many “incitement likes”, estimated by the court at some 22 likes, on Facebook. A number of Palestinians were kidnapped by the Israeli occupation forces (IOF) in abduction weeps rocking West Bank provinces at predawn Thursday. 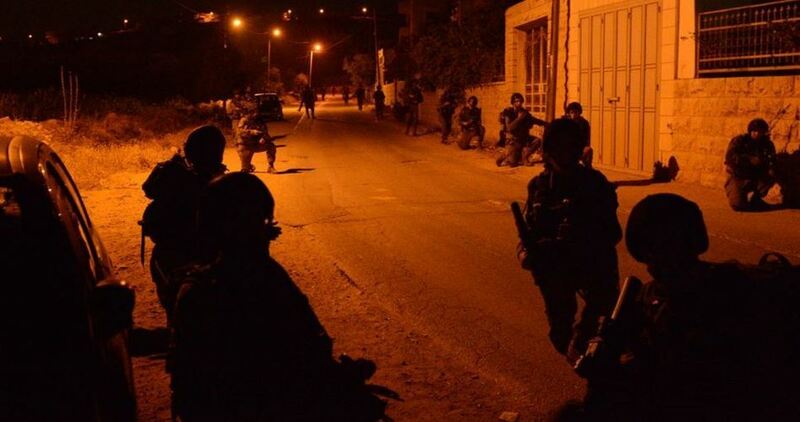 The IOF stormed Nablus province at the crack of dawn and kidnapped two Palestinians—15-year-old Mohamed Daraghma and 24-year-old Sarhan Daraghma. Overnight, youngster Abdul Salam Dawabsha, from Nablus’s southern town of Duma, was kidnapped by the IOF at the Jaba’ checkpoint. At the same time, heavily-armed Israeli patrols rolled into Jenin’s towns of Berkin and Wadi Berkin, before they kidnapped four Palestinians, among them relatives of slain Ahmed Jarrar. The occupation forces further ransacked homes belonging to the Jarrar family using sniffer dogs. Sounds of explosions and heavy gunfire were detected all the way through the assault. The Israeli military also sealed off Jenin’s western entrance, blocking Palestinians’ access out of and into the area. Meanwhile, three Palestinians were kidnapped by the IOF from Tulkarem province. The campaign culminated in the abduction of two Palestinians from Ramallah province, in the central occupied West Bank, and two others from al-Khalil, to the south. Iranian Foreign Ministry Spokesman Bahram Qasimi yesterday ruled out a new Israeli war on the besieged Gaza Strip due to the “developing capabilities of the resistance”, the Safa News Agency reported. Qasimi said the resistance would not allow the Zionist entity to launch a new Israeli offensive in the region. He stressed that the “development of resistance, as well as the circumstances in the region” push Israel to avoid launching a new war. “I don’t see a new Israeli offensive on Gaza due to the developing capabilities of the resistance,” he said, stressing that if this happened, the Israeli occupation would lose it. Reports of such an event are a king of psychological war, he explained. 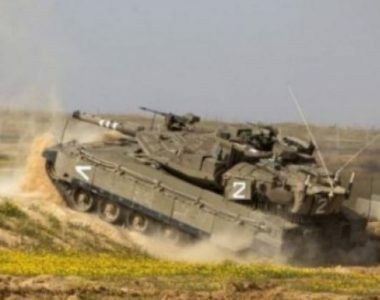 The Israeli army is sending reinforcements to the Nablus region of the occupied West Bank today, reported Ynet. The move comes as Israeli occupation forces continue the search for Abed Al-Karim Adel Assi, a Palestinian with Israeli citizenship who killed an Israeli settler on Monday. According to the report, “several of the army’s regular service regiments will be taken off their training and drill duties and moved to the region to bolster forces already on the ground”, following senior military officials’ evaluation of the situation on the ground. The Knesset Internal Affairs Committee yesterday discussed the policy of refusing to return the bodies of Palestinians killed by Israeli forces to their families for burial. Israeli authorities have repeatedly withheld bodies of alleged Palestinian assailants, part of a range of collective punishment measures that also include home demolition. During the committee hearing, the parents of an Israeli soldier killed in occupied East Jerusalem in January 2017 said that “instead of debating whether or not to hold a body, there is one solution – to leave it in Israel permanently or to throw it into the sea”. We should not return bodies. We should demolish homes. – 2017 the lowest rate for approvals since WHO began active monitoring in 2008: 54% of patient applications to exit Gaza via Erez were successful. There has been a continuous decline in approval rates since 2012, when approximately 93% of patient applications were successful. – 54 patients died while awaiting security approval for referrals out of Gaza: Approximately 85% of the patients who died while awaiting security permits had been referred for cancer investigations or treatment. – In December, 48% of patients unsuccessful in obtaining security permits from Israeli authorities: From 2,170 patient applications 52.4% were approved; 2.6% denied; and 45.0% delayed, receiving no definitive response from Israeli authorities by the date of hospital appointment. – Three in five patient companions unsuccessful in obtaining permits to travel out of Gaza: There were 2,507 permit applications for patient companions submitted to Israeli authorities in December. 40.5%were approved, 3.6% were denied and 55.9% were delayed, still pending by the date of the patient’s hospital appointment. 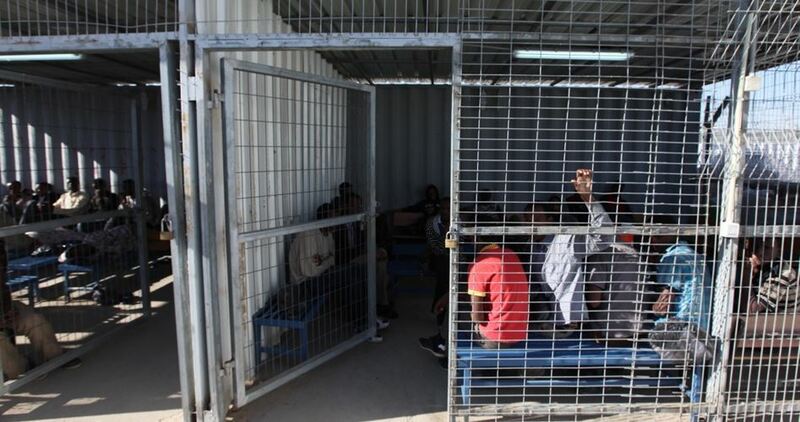 – Security interrogation of patients: 11 patients (7 males; 4 females) were requested for interrogation by Israeli General Security Services at Erez during December. Five were approved permits to travel for health care. – Financial coverage for health care: 1,784 requests for financial coverage for Gaza patients were approved by the Services Purchasing Unit of the Palestinian Ministry of Health in December 2017. – Limited access to Egypt: Rafah terminal was open for four days in both directions. 183 patients exited Gaza to seek medical care. No medical aid and no medical delegates entered Gaza via Rafah during the month. 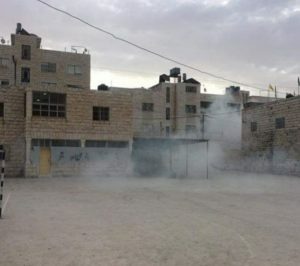 Israeli soldiers attacked, on Thursday morning, dozens of schoolchildren and teachers, in the southern area of Hebron city, in the southern part of the West Bank, causing scores to suffer the effects of teargas inhalation. 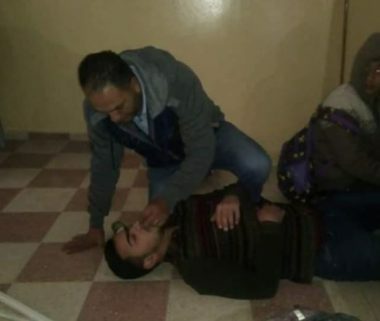 Ammar Jaber, the principal of al-Hajiriya School, said the soldiers fired dozens of gas bombs into the schools in the area, and around them, causing dozens of children, teachers and workers to suffer the severe effects of teargas inhalation. He added that many of the wounded Palestinians were also rushed to hospitals for further treatment. Jaber also said that all schools in the area had to shut down for the day, to avoid further Israeli escalation, and violations. Furthermore, the soldiers surrounded Qortoba School, in the Shuhada Street, and prevented the teachers and students from reaching it. 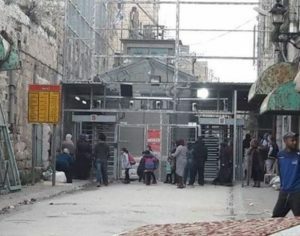 The soldiers closed the area, and the electronic gates around them, and refused to allow the students and teachers through for about an hour, until the Red Cross and the Palestinian District Coordination office intervened. The head of Jerusalem Legal Aid Center, Issam al-‘Arouri, has reported that Israel is still holding captive in the “Numbers Graveyards,” the remains of 260 Palestinians who were killed in previous years, while 19 others, who were killed since 2016, are still in Israeli Morgues. Speaking to Palestine Radio on Thursday morning, al-‘Arouri said that Israel has been practicing this illegal measure for dozens of years, way before its government “legalized it” lately, in order to punish the families of the slain Palestinians, who remain unable to burry their loved ones, or even see their corpses. He also said that Israel seems to be the only country in the world that is using the corpses as a bargaining chip, and as a punishment against the families, and added that Tel Aviv sometimes justifies its illegal actions by claiming that the burial ceremonies would lead to more violence. 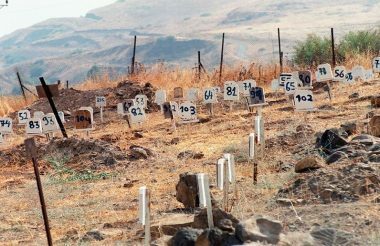 It is worth mentioning that whenever the Israeli army releases the remains of Palestinians who were killed after reportedly attacking or killing Israelis, it places strict preconditions, such as having the burial ceremonies held late at night, with a limited the number of participants to include only direct family members, and sometimes not even all of them are allowed to attend.